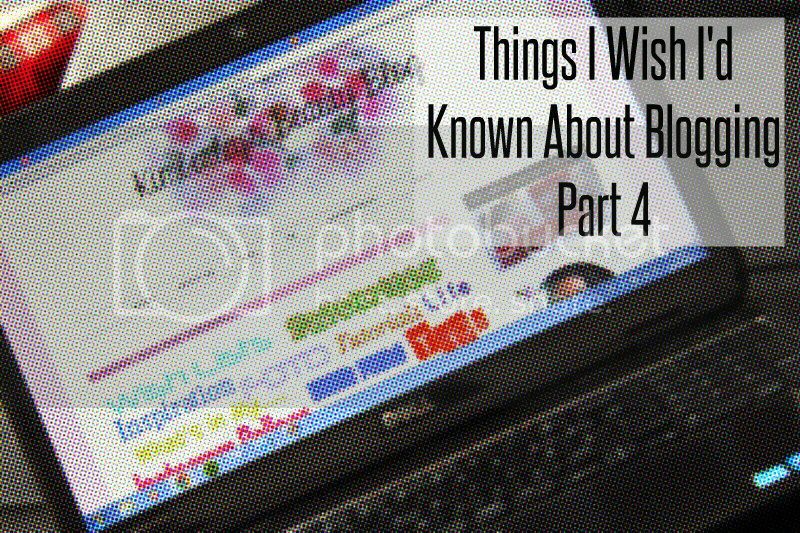 When my blog had it’s first birthday I began to think about how far it had come so started a mini series called ‘Thing’s I Wish I’d Known About Blogging’. This is basically a collection of blog posts including useful information, tools and blogging techniques I have discovered during the time I have been blogging which would have been really useful to me if I’d known about them sooner. This is part 4 in that series and you can read the others here: Part 1, Part 2, Part 3. Until recently I hadn’t even heard of the term SEO but now every where I turn it seems to be mentioned. It first came up at a blog event last year but for bloggers this now seems to be the hot topic and something which is important to understand if you want your blog to stand out and grow. I’m by no means and expert when it comes to SEO but basically the point of it is to improve the content of your blog posts and photo’s so they are picked up by search engines. You can do this in a variety of ways. For example, by making your title descriptive, adding keywords in your blog posts and adding image alt tags. Building relationships with brands is a side of blogging a lot of people are interested in but it isn’t actually something I even knew happened until I had been blogging a few months. Even after blogging for nearly two years I am amazed that this even happens and I think it’s so lovely that brands are interested in our opinions on their products. During my time of blogging so far I have been introduced to lots of amazing brands I never knew existed as well as some I already loved and those relationships where built up initially through email or Twitter. Both, particularly the former, are great for communicating and when you are approached by a company it is the best feeling. To build up relationships make sure you are polite and provide all of the necessary information the company may need. This really varies so don’t be worried if sometimes you are asked for social media links or stats and other times not, it is really down to what the company needs in order to make a decision whether to work with you or not. When speaking with PR companies or the brands themselves don’t be afraid to ask questions to find out more about the brand and products. Most of the time they are happy to help and this is a really great way to discover new brands.. I actually found some of my favourite brands this way! I’ve mentioned before how important Twitter is when it comes to blogging and I just wanted to re-iterate the point here.The best way to interact on Twitter is to join in with the weekly chats, my favourite being the #bbloggers chats which take place on Wed and Sun 8-9pm UK time. They are a really great way to get to know other bloggers, learn more about beauty, discover new products and advertise your posts. Choosing what to include on your blog is really important because you need to make sure it’s fitting with the content of your blog. Of course it’s your own space but you need to make sure you remember who your audience are and stay focused on what they want to see. My blog is definitely mostly orientated around beauty but I also write about lifestyle, fashion, candles, food, accessories and more because those are all areas I also have an interest in too. Don’t be afraid to venture into other areas just make sure you don’t always deviate away from your main focus. For instance, my blog is ‘Kimberley’s Beauty Blog’. If every post I did for a month was fashion related I would have lost my main focal point of beauty.. the giveaway is in my name. This may seem obvious but I’ve seen a lot of blogs do this and lose track of their identity. Also, another point I want to make about ‘what to review’ is related to PR samples. Don’t feel pressured to say yes to every product you are offered to review. Again, think about the focus of your blog and if you’re actually interested in it. It’s okay to politely decline rather than write about a product you aren’t interested in or passionate about because it will come across in your writing. Some people think your blog should be perfect from day one but the important thing to remember is that it will naturally grow as you do. You can’t be expected to know your layout and writing style from the very start or to be an expert with photography and infact some of my favourite blogs are where you can see how they have grown and improved over time. I find them more interesting and I really respect those bloggers because they have looked to improve what they are doing and turn their blog into something they are really proud of. It was pretty late in the day when I realised you could actually advertise your blog by being on others. I had been featured in some people’s sidebars but that was more of a swap or just because they wanted to rather than paid advertising but in hindsight I definitely would have wanted to advertise on other blogs when I was first starting out. This is still something I would do now but I think it would have been particularly beneficial at the beginning in order to raise awareness of my blog and also to get to know other bloggers better. I offer five advertising packages on my blog ranging from £3 – £10 and I love it. Not only does it mean I get to discover new blogs but I also get to share them with all of you. Definitely check out the bloggers and business’s in my sidebar guys.. they are great! If you want to book one of my ad spaces pop me an email to kimberleyjohnson03@gmail.com details on all of them are here. Do you think this post is useful? What have you learnt about blogging? There are so many things here that I wish I'd had known about too- I know you will help so many people with this post! I think I was blogging for almost a year without knowing about the #bbloggers chat on twitter! Fab post hun. I've been blogging for a year and I still feel like I know so little about it! !